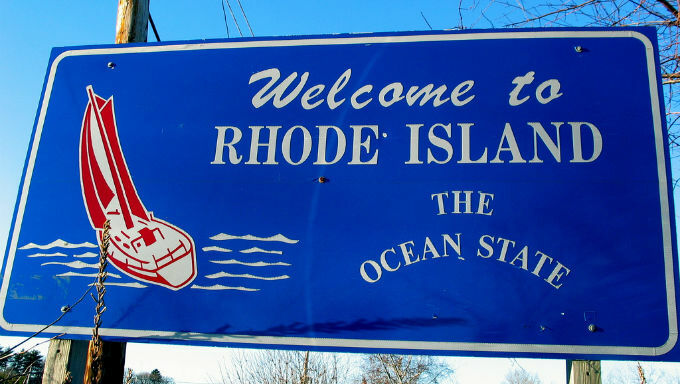 Rhode Island became one of the first states to legalize sports betting, but high fees could inadvertently hinder revenue opportunities even before the first bet is placed. On June 22, Rhode Island Gov. Gina Raimondo approved the state’s budget which opened up sports betting in the state. While this is projected to provide millions in additional revenue, the state-imposed 51% tax on winnings could dissuade prospective gambling partners. The 51% mark is far and away the highest in the nation. While Delaware and New Jersey legalized sports betting with about 10% in fees off of winnings, the Ocean State will take more than half of all net revenue. Lawmakers, including Rhode Island Senate President Dominick Ruggerio, touted the legislation and the high fees, saying in a statement this will help fund roads and schools without increasing taxes. While the high fees will undoubtedly reallocate more revenue per bet than in other states, the fees may actually deter gaming operators and partners, a problem playing out already in Pennsylvania. The Keystone State was one of the first states to get on board with legalization, passing a bill in October 2017 – even before the Supreme Court decision to strike down the federal ban on sports wagering. That head start gave Pennsylvania a clear path to take on wagers after the court ruling. Instead of replicating taxes like Nevada, the first state to have sports betting, or following the lines of New Jersey or Delaware, lawmakers in Harrisburg decide to triple those states fees, arriving at a 36 percent total tax on winnings. Along with a $10 million fee to acquire a sports betting license betting companies have, not surprisingly, remained wary of entering the Pennsylvania market. Now months after legalizing sports betting, Pennsylvanians have seen neighboring New Jersey open its sports betting market while they remain unable to do so in their home state. All the legal framework is in place. It’s just been harder than lawmakers may have predicted to attract someone to take these bets when they’re so handicapped by fees. There’s been talk about reconvening the state legislature to discuss a new law with lower fees, but so far little action. Pennsylvania sports betting essentially exists in limbo – and that’s with fees 15 percent less than Rhode Islands’. With Pennsylvania as a test case, gambling industry experts are worried about opportunities in the Ocean State. With such a comparatively small revenue potential in Rhode Island, the state’s gambling entities have little incentive to market and promote sports betting. In an article, Reuters quoted American Gaming Association spokesperson Sara Slane, who said this would hurt Rhode Island’s revenue potential. “High tax rates hinder the legal market’s ability to compete with shady, illegal operators that don’t pay taxes back to the state,” she told the news service. These fees likely also impacted gambling expansion even before it was legalized. IGT, which has a long relationship with the state by running its lottery, was the only gaming operator to submit a bid to facilitate sports betting in the state. Without any competing bids, that already put the state at a competitive disadvantage. Rhode Island has also imposed additional hurdles that could hurt gambling. Wager can only be placed at the state’s two casinos, Twin Rivers properties in Tiverton and Lincoln. Online betting isn’t permitted, even on the casino properties. The state is also waiting until Oct. 1 to take its first bet, at which point Mississippi and likely West Virginia will have already taken their first legal bet. That late start date also means Rhode Island misses the first month of the NFL and college football season, which are far and away the most wagered on sports in America. Though Rhode Island is the first New England state to open sports betting, several of its neighbors may not be far behind. With New Jersey already up and running and possibly New York, Connecticut and even Pennsylvania to join, that comparatively early adoption edge will likely be lost shortly. All that is still overshadowed by the possibly prohibitive fees. The state budget projects more than $25 million in revenue from sports betting in the coming fiscal year, which may prove a tough mark to hit if the state’s two casinos struggle to attract bettors.